Nathan McKay sits with his father, Kevin, in the cab of a backhoe at the construction site of the Museum. 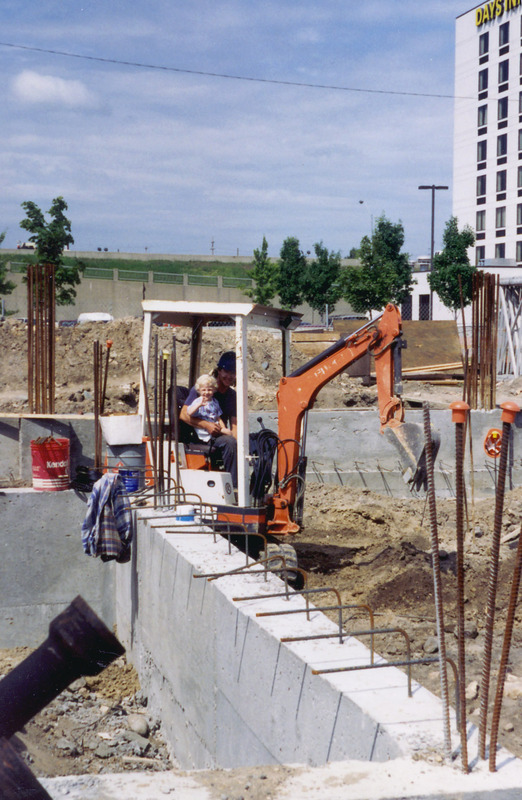 Concrete walls with exposed rebar are in the foreground and behind the backhoe. At the far right is a portion of the Days Inn. In the distance is part of US131. Photograph, 6 X 4 in.